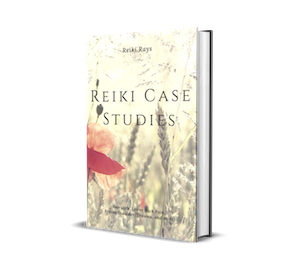 Reiki is such a glorious and gentle modality that it can be used on anyone! Every single person who tries Reiki can gain the benefits of this energy. What I love is how children respond. I am blessed to say I have a darling little 4 year old boy who comes along for treatments. The first time he was a bit squirmy of the bed and uncertain what the reiki was all about, and yet the 2nd time he came to see me, it was the most beautiful experience. His mum also had a treatment and so we asked “Bobby” if he would like to go first or if he would like to watch his mum have her treatment. Bobby opted for Mum to go first. This was lovely because Bobby is an active little fellow that he stayed and watched for a bit and then he scooted off around the yard, collecting seeds and looking at birds and frogs and whatever else little boys can find (losing his own toy truck in the process). Those of you who follow my articles know that my Reiki room is set up in a tropical oasis and so this is why the little 4 year old could go ‘exploring’. After “Mum” had her treatment, it was Bobby’s turn, and what a difference this session was. He was quite happy to lie on the Reiki table and allow me to put my hands on him. He has the most divine and glorious energy and in fact I feel this is why he struggles with life. Bobby has a history of being overzealous at school and ends up becoming extremely frustrated with other students and the teachers, resulting in tantrums and sometimes even physical violence where he lashes out or kicks toys and sometimes even people. His behaviour is becoming very difficult for the teachers and even his parents to manage. Whilst doing the treatment on him, I felt that he is very, very spiritual and is actually absorbing all the feelings and emotions of those people around him. I feel he is empathic to the point of it driving him crazy. I honestly don’t feel little “Bobby” is lashing out for nothing. Speaking with his mother I suggested some ear muffs, because I also sensed that Bobby is reacting to noise, which is making him super sensitive and angry as well. Mum looked at me somewhat astonished and admitted they already use ear muffs at home. She has decided to chat with the teacher to see if it’s possible for Bobby to wear special earmuffs at school that will allow him to ‘hear’ but to muffle the background noise. I seriously believe this will help. It’s really good when parents are open to spirituality which Bobby’s are, because the suggestions made can help tremendously. I have also suggested that they do some protection work around Bobby on him waking up, and also asking the angels to shield him against other people’s emotions, at least until he’s old enough to do this himself and to understand. Mum is happy to do this on a daily basis. During the Reiki treatment I also strengthened his aura and channelled as much Reiki energy as he required. Being so young and so vibrant it was lovely to watch him quieten down and enjoy the session. He actually lifted his tiny little feet to have them wrapped in my warm hands, which he said were ‘hot’. His gorgeous little giggle, because his feet were ticklish, lightened my heart. He was enjoying the experience and demonstrating it through non-verbal communication. Bobby’s mum is going to return with him in about two weeks’ time, and I feel there will be a good response to today’s treatment which she will let me know about. Bobby really seemed to enjoy it and was so quiet and peaceful during the session that his Mum was astounded, as normally “Bobby” is rushing around the place and doesn’t sit still for anything. I also hope that the earmuffs will help him at school with his frustrations; and that the angels also step in to assist him with blocking out other people’s emotional stuff. Children respond really well to Reiki, and so I hope this cute story encourages you to work with children as well.